I'm working on coming up with 8 designs for my upcoming Birthday Buffet class. The designs cannot be too difficult as the participants will be making between 6 and 16 cards during the 3 hour time frame. 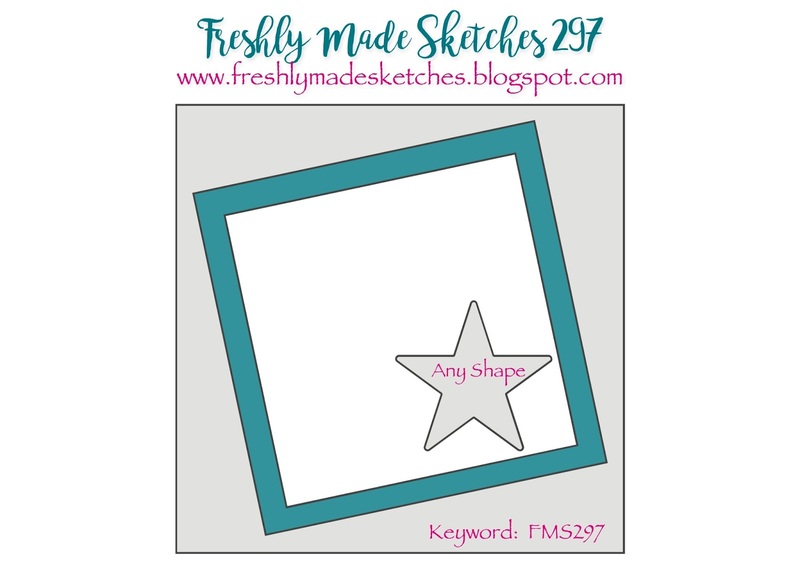 I saw the Freshly Made Sketches challenge for this week and thought it would make the basis for a great simple but effective card. 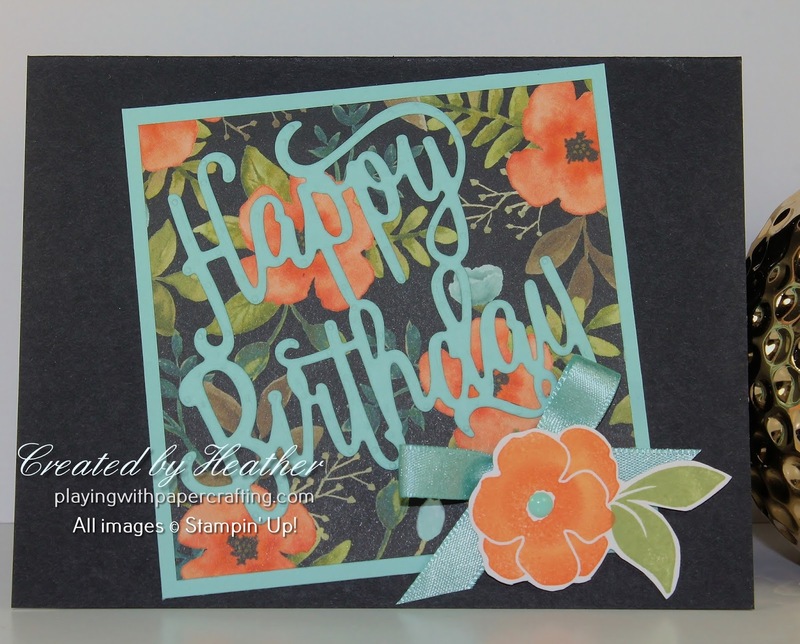 I love how dramatic the black DSP is from Whole Lot of Lovely Designer Series Paper, so I figured with a bold sentiment and a small bow or flower at the bottom corner, I could create something eye-catching that would also be a draw to get more people out to class. I wanted a standard sized card instead of a square one, so I just made a regular 51/2" x 4 1/4" card base with a landscape orientation. The awesome part of this is the new Multipurpose Adhesive Sheets from the Annual Catalogue! I simply laid my half sheet of Pool Party cardstock in between the layers of the Adhesive Sheets, removed the top film and die cut the bold Happy Birthday sentiment using the Big Shot, and when I removed the die cut from the Big Shot - Voila! It was a sticker. All I had to to was remove the back film and stick it on to the DSP! No gluey mess! You've got to try them! I then just used the new Pool Party 3/8" Shimmer Ribbon to add bow to the bottom right. I stamped a flower image from the Lots of Love Stamp Set in Peekaboo Peach, using a sponge dauber to add some Tangerine Tango to the edges and the middle of it and Pear Pizzazz to stamp some leaves from the same stamp set. 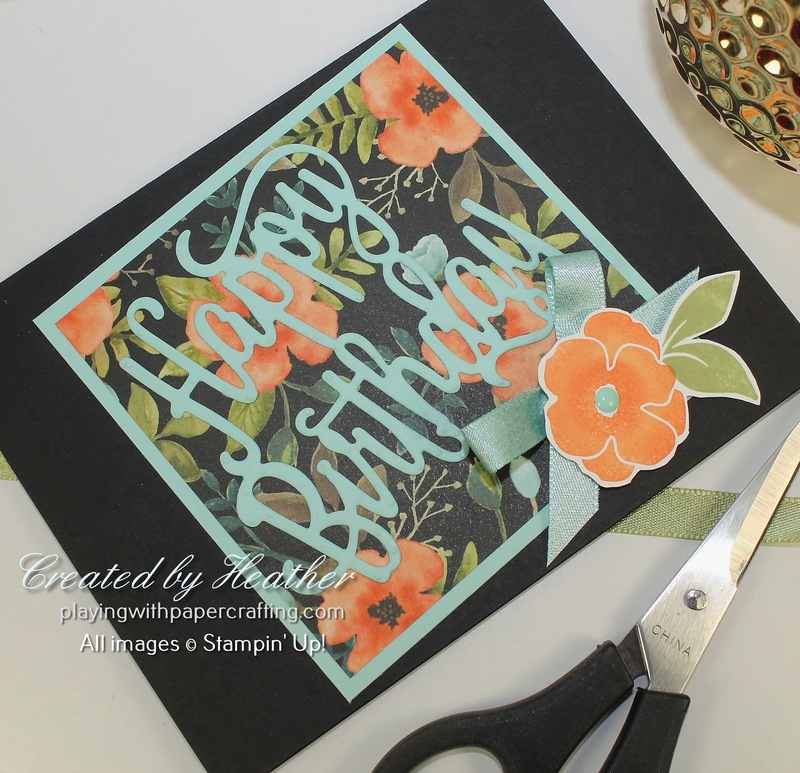 I then fussy cut the flower and leaves together and used a Stampin' Dimensional to add it to the project! A Subtle Enamel Dot forms the center of the flower. I'm excited because, starting tomorrow, we, as demonstrators, are going to start getting sneak peaks of the Holiday Catalogue, with the whole thing being revealed on Friday. Then we can do a pre-order starting August 1! This is my favourite catty of the whole year! I love Fall and Christmas designs! Would you like to be in on this? 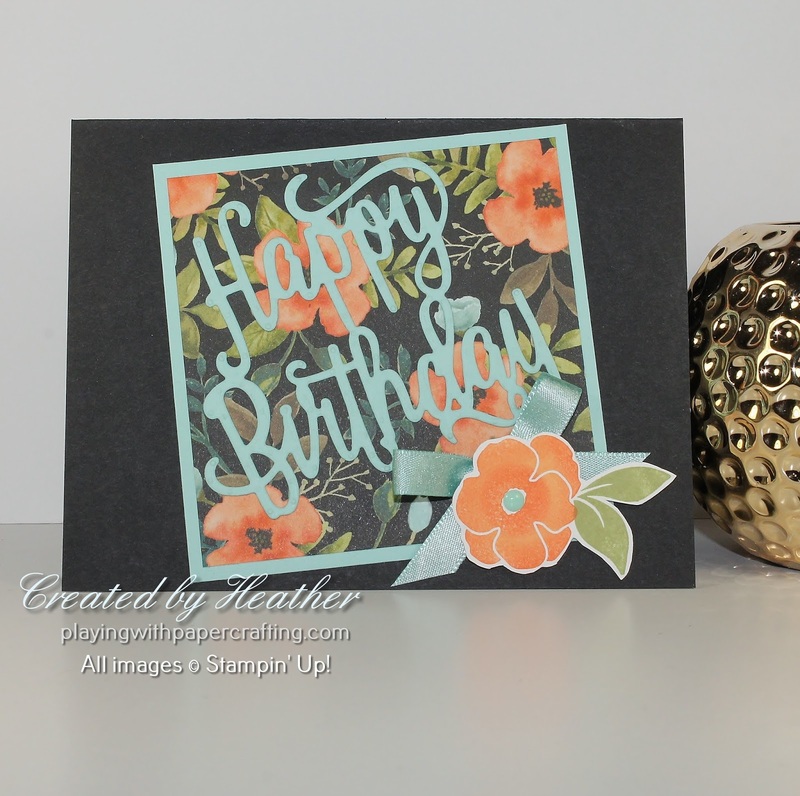 It's easy and Stampin' Up! is making it very attractive for you in July! Just order the Starter Kit today or tomorrow and SNAP!! You will be able to see these previews and be in on the pre-order just like that! Plus you will have a minimum of SIX months where you can take advantage of the 20% discount to get all that Christmas product that you need to make your greeting cards! And who know where the adventure will take you from there, if you can make your quarterly minimum of $400! (Every 3 months!) If you do this in July, Stampin' Up! is throwing in an extra $94 worth of product in the form of the Free Essentials Gift Pack, which includes the beautiful stamp set, Carols of Christmas! This is on top of the $165 worth of your choice of product for only $135, shipping charges free! To get your starter kit and join my team, click on Join My Team and follow the prompts! It's a GREAT DEAL! If I wasn't already a demonstrator, I'd totally go for it! So Many Shells for FMS and the Blog Candy Winner!